There are some brand names that are such a regular part of our lives that it is difficult to imagine what life would be like without them. I'd do laundry without Tide? Or wash my hair without Herbal Essences? Unfathomable. From beauty and health to home and beyond, Procter & Gamble's brands make every day just a little better for billions of consumers around the world. But clearly I'm not the only one to think so, as P&G brands like CoverGirl, Dawn and Swiffer have received hundreds of awards from leading magazines. And, while I already felt as though I was familiar with why many of P&G's products are some of America's "Most Loved," I was still ready to become reacquainted with them when an assortment of beauty, grooming and household care products arrived at my door. You don't have to ask me twice to celebrate P&G's "Most Loved" brands when they include CoverGirl, Olay, Pantene, Venus, Gillette, Bounty, Cascade, Charmin, Dawn, Febreze, Swiffer and Tide! Our kitchen is always well-stocked with Cascade (we're big fans of how clean our dishes come out with their ActionPacs!) and Bounty (we never buy any other paper towels) and it doesn't take any searching at all to find our bathrooms filled with Charmin, CoverGirl, Gillette, Olay, Pantene, Venus and more! While it has been a few years since we were in the diaper stage, we were devoted to Pampers when the girls were young... and cleaning and freshening the house always includes Swiffer and Febreze. I'm willing to bet that if you take a look around, you'll see that P&G most likely has a large presence in your home as well! 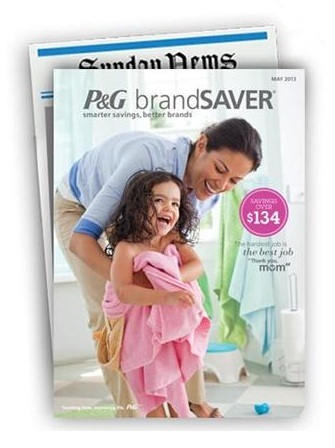 As well as winning award after award and making life easier for families everywhere, P&G is spreading the love of their great products even further with the brandSAVER coupon booklet that was in the recent Sunday, March 31st newspaper. This booklet is filled with tons of coupons, so be sure to take advantage of being able to pick up many of these "Most Loved" products while saving money at the same time! To get even more into the P&G spirit, be sure to join in the #PGmostloved Twitter Party on April 18th at 9 p.m. ET. You’ll have the chance to win P&G's award-winning products from some of your favorite beauty, grooming and household care brands... and the grand prize winner will take home a $300 Visa gift card! A total of $1,000 in products and prizes will be given away, so head over to the RSVP page now and then tune in to #PGmostloved next Thursday at 9 p.m. ET! One lucky person will also win an assortment of full-size beauty, grooming and household care products from award-winning P&G brands! 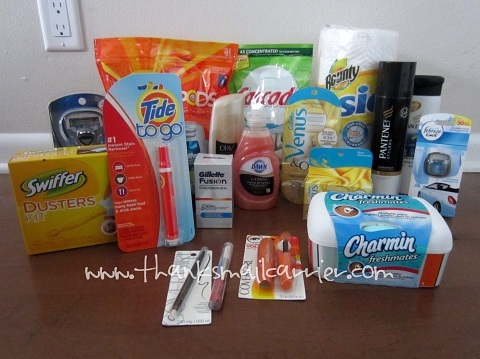 A big thank you to P&G and SheSpeaks for providing a prize pack for me to review as well as for one lucky giveaway winner. The opinions shared are my own and honest and if you really need to see more, click here to see how I roll. Oral B is a wonderful product in our lives. Olay Total Effects moisturizer! Love it. Cascade is the best. Gets my dishes and glasses clean and shiny. Olay, use the moisturizer every day! i like dawn liquid dish detergent. I can not live without Tide Laundry Detergent because it gets my clothes so clean! I have several. Dawn is at the top of the list. Tide is a favorite in our house. Tide is our must have. Tide is a must for this house. A must have for me is Cover Girl Natureluxe foundation. Pampers because of my little ones. The must have in our house is Bounty paper towels! Cascade pacs! My fussy old dishwasher doesn't get the job done without it. I have a toddler in diapers so Pampers are our must-have item. Oil Of Olay Body moisturizer is a must have for me. Dawn... no other brand come close! My must have is Tide!! Tide, but use lots of their products! We use a lot of Bounty paper towels. Pantene Spray Leave-In Conditioner is a must have product in our house. Venus razors! They are the only ones that don't leave my skin feeling like it burns!!!! I plan on getting pampers for my baby on the way. My daughter is in culinary school, and I'm thankful for that tide stain stick she carries around. I have to have my swiffers! 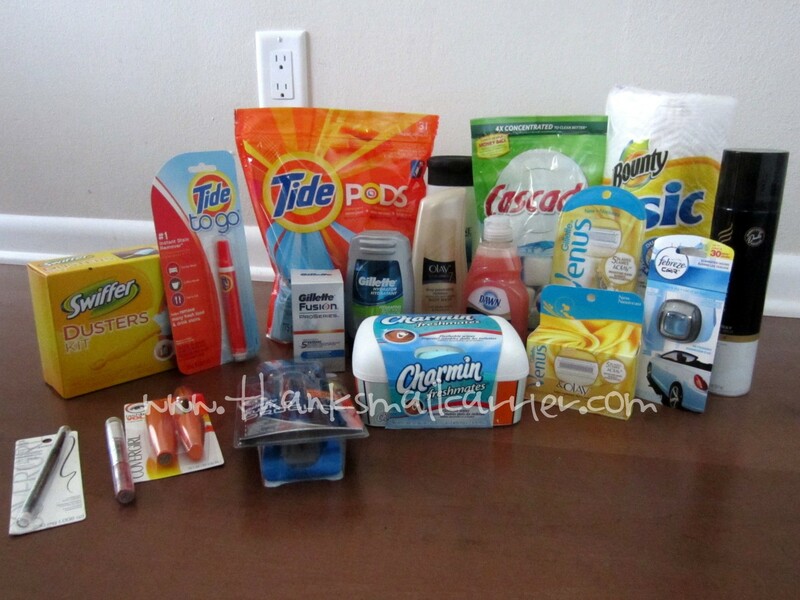 Tide and Cascade are must haves for me! 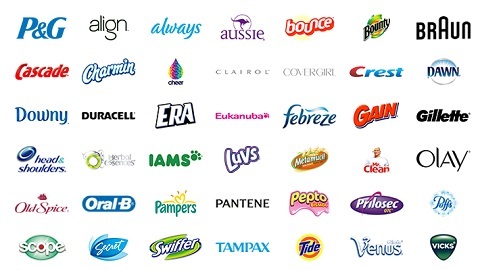 I love all P&G products! My favorites are Olay, Pantene, Venus, Gillette, Bounty, Cascade, Charmin, Dawn, Febreze, Swiffer and Tide! I regularly use Olay, Pantene and Venus so all three of those are very important. Quality without too much expense. Bounty Basic Paper Towels are a must for me along with Charmin Basic! I like dawn liquid dish detergent. Thanks so much for the fantastic giveaway! Tide To Go pen is a must have for me. I would be lost without my swiffer dry sweeper for my wood floors! Cannot live without my Cascade Gel packs. They're the only thing I've found that don't leave streaks & a film. Pantene Styling Gel is a must! I LOVE love love my Pantene! I tried SO many others, always go back to Pantene. Nothing works like it. Same thing with Tide and Dawn. I have tried others, forget it, I don't even bother anymore! swiffer products are a must have in our house! We use Dawn every day. We always have Cascade in the house. I use a ton of their products across brands, but my must-have is probably Oral-B! My go-to brand for toothbrushes! Tide has been in my life 4-ever. Vicks. I rub it on the kids' feet then slip on a pair of socks when they have a nasty cough. Sleep like bears thru the night. It's awesome. Aussie shampoo and conditioner is a must have in my life. Tide is a must-have for me. I won't use anything in my dishwasher but Cascade ActionPacs. There are a few products that I really love and will not substitute - Pantene, Oil Of Olay and Fabreeze. Thank you for the chance to win this wonderful prize pack! A must have product for our family is Tide detergent. The Basic Bounty Paper Towels are a must in my life, as they are ideal for cleaning the counters and stovetops. I have 2 favorites Tide and Downy!! Dawn Dishwashing liquid is a must have. Bounty is one brand I can't live without! Olay bodywash. It's the only thing that helps my dry skin. We use Dawn and Tide just about daily! I'm a huge fan of Tide and Cover Girl makeup! Love Lash Blast mascara. Crest is a must have in our house. Pantene is a must for me! Swiffer dusters! They make dusting all the stuff doable and quick. So many that I love but I think Tide is my fav. Tide is a must have for me! One P&G product that is a must-have is Tide Sticks. There's nothing else like it. The Olay Total Effects Moisturizer.It is a must have. I use it everyday. My must have is Dawn. Nothing else works as well. Venus Razors. I love these things and its the only brand I'll use. The Tide To Go Pen keeps me from having stains that won't come out. It's like a miracle worker, just dab on and eventually wash in the hottest water the fabric can stand. Tide is my must have. Its the only detergent I use. My must have is Charmin with Vitamin E and Aloe toilet tissuse, nothing else comes close for comfort. I couldn't live without my Tide. Definitely my Swiffer Wet mop! Covergirl is the go to make up staple in my makeup bag. Always & Downey. I can't live without either of these products. Cheaper brands don't come close to the quality. Right now,,, we couldn't live without LUVS. Pantene. My 25-year-old daughter's hair is so long she sits on it, and nothing keeps it looking as good as Pantene does. 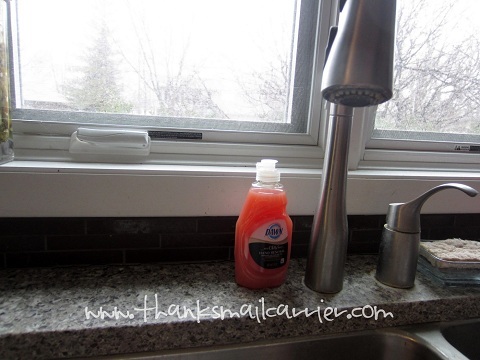 my usual is dawn liquid dishsoap..
We have 3 little boys so Tide is a must in our house! My husband is very brand loyal to Bounty. I've gotten in trouble when the store has been out and I've gotten a competing brand! Tide is a must have! Tide Vivid White Booster gets everything out. I love Pantene shampoo and conditioner! Pampers and head & shoulders! Always Infinity Pads are a must with me. I can not live without blue charmin! Dawn is a must have.